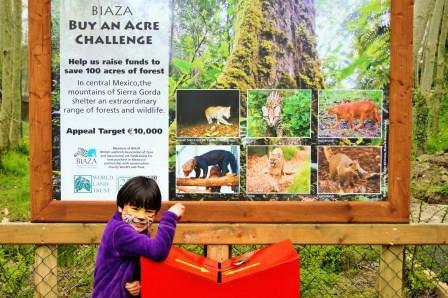 Staff at Tayto Park in County Meath, Ireland, have responded enthusiastically to BIAZA Buy an Acre, a fundraising campaign to purchase and protect land of conservation value in Mexico’s Sierra Gorda. The initiative has been developed by World Land Trust (WLT) and the British and Irish Association of Zoos and Aquariums (BIAZA) in partnership with Grupo Ecológico Sierra Gorda (GESG). Every year Tayto Park focuses on one conservation project and this year staff are putting their energy into BIAZA Buy an Acre challenge. “Several of the species in Tayto Park’s collection can be found in the wild in Mexico, and the species will clearly benefit from this in-situ conservation initiative,” explains Jessica Harley, Education Programme Manager, who is coordinating the promotion of BIAZA Buy an Acre at Tayto Park. “In very simple terms this promotion bridges the gap between ex-situ and in-situ conservation and enables us to connect the animals in our collection to those in the wild. 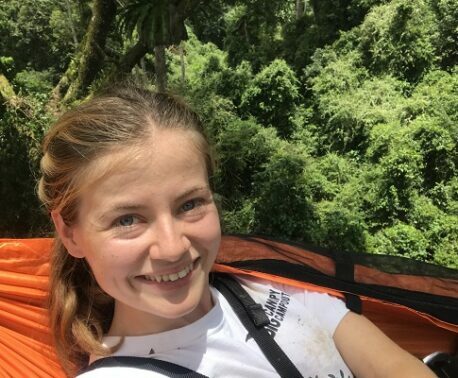 Our rangers and tour guides will help reinforce this message, and the public talks will do a great deal to educate our visitors and encourage them to donate,” said Jessica. Donation collection boxes and large signs publicising BIAZA Buy an Acre have been placed next to enclosures, and Tayto Park’s visitor map also mentions the fundraising initiative. Tayto Park has set itself a fundraising target of €10,000 (some £8,000) for BIAZA Buy an Acre, and is planning special events and activities to attract visitors and donations. For example, over the weekend of 23 May 2014, which will celebrate the birthday of the park’s Ocelot, a portion of the visitor entries will go directly to BIAZA Buy an Acre. “This is our most ambitious fundraising effort to date. We all feel very strongly about this conservation programme and want to participate for the long term. 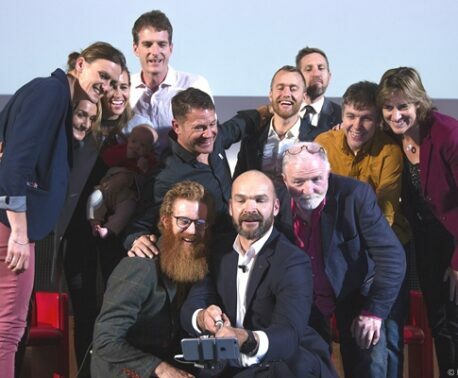 Staff will also get involved in raising funds via running, cycling and adventure races,” said Jessica. BIAZA staff have welcomed Tayto Park’s enthusiastic response to the fundraising initiative. In 2013 Tayto Park created a conservation fund as a response to climate change and the threat it poses to animals and plants in the wild. The fund currently supports the Irish Pollinator Initiative and Irish Butterfly Monitoring Scheme in connection with National Biodiversity Data Centre, Bat Conservation Ireland, Amur leopard and Tiger Alliance and Golden Eagle Trust. Zoos and aquariums play an important role in protecting biodiversity by raising public awareness of conservation issues, maintaining collections of endangered species and supporting conservation in the wild. WLT’s Wild Spaces programme provides a way for zoos, aquariums and their associated bodies to support in-situ conservation. A corner stone of Wild Spaces is the collaboration between WLT and BIAZA, which enables members of BIAZA to raise funds collectively for conservation projects. WLT has been working with BIAZA since 2006.